"Indulge Yourself In The Ultimate Irish Experience..."
On route from Dublin City to Cork, we will visit the impressive Rock of Cashel. Here you will see this unique site which is also home to a 12th century Round Tower and Chapel plus a 13th-century Cathedral. 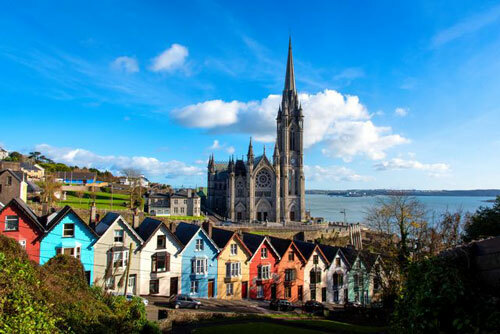 Our next stop here will be to the historic town of Cobh, which was a departure point for over 2.5 million people who immigrated to North America. Enjoy the spectacular neo-gothic St. Colman's Catholic Cathedral. Visit the Titanic Experience in the original White Star Line Ticket Office, a building steeped in history dating back to the early 19th century and the departure point for many thousands of White Star Line passengers. After a great night's sleep, today is the day you get to Kiss the legendary Blarney Stone and be granted the gift of eloquence. 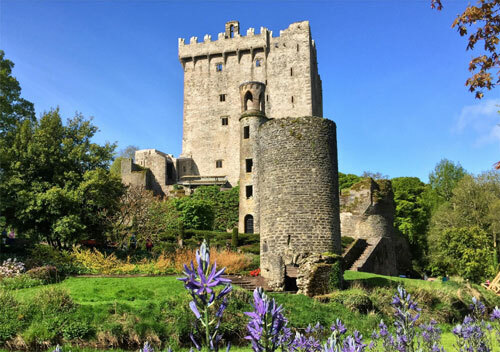 Then take your time to enjoy the amazing gardens before strolling over to the famous Blarney Woollen Mills, the world's largest Irish gift shop. Enjoy the sights of a driving tour through Cork City taking in The Shandon Bells, The English Market, University College Cork and much more. Next, we will stop at the 16th century Charles Fort for a 15-minute photo-op to capture the stunning views and learn of its fascinating history. Then on to the charming village of Kinsale, dubbed "Ireland's Gourmet Capital". Perfect for lunch! There are lots of pubs, restaurants and craft/gift shops dotted around the colourful streets of Kinsale. 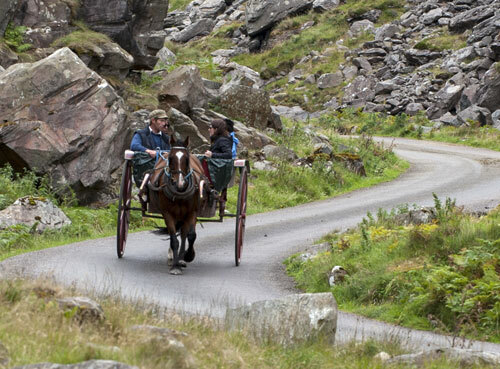 No trip to "The Kingdom of Kerry" is complete without a ride on the famous Jaunting Cars of Killarney. Be regaled by the stories of the local Jarveys while you enjoy your Jaunt through Killarney National Park. Your Jarvey will drop you at Ross Castle for you to enjoy a fascinating tour of this 15th-century tower house. Next up is Muckross House where you will enjoy an in-depth guided tour of the magnificent 19th century mansion set among wonderful gardens, lakes, mountains and woodland. Later this evening, you will be tapping away to The Celtic Steps Traditional Irish show. The Show brings together popular Irish dance with the authenticity of traditional Irish music. 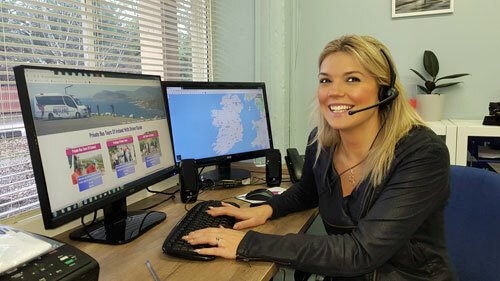 Sit back, relax and absorb the spectacular scenery of The Iconic Ring of Kerry. Amazing coastal scenery, beaches, mountains, lakes, waterfalls, wildlife and forests - The Ring of Kerry has it all. Stop for lunch at the seaside town of Waterville and explore picture postcard towns like Sneem and Kenmare. Wave goodbye to Killarney as we travel to the picture postcard village of Adare, founded in the 13th century, abounds with a rich history and a strong heritage, which remain ever present in its monuments, thatched cottages, streets and people. Last stop today will be Dromoland Castle, your resting place for tonight. 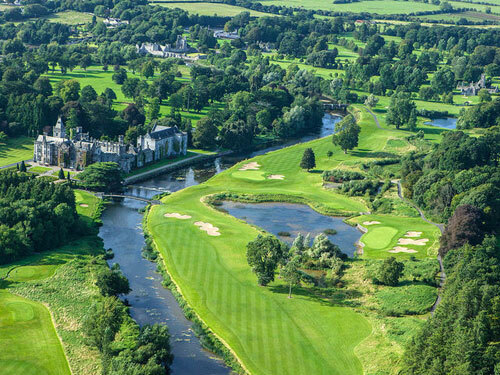 Dromoland has been welcoming guests since the 16th century and is the ancestral home of the O' Brien's of Dromoland, whose lineage dates back 1,000 years to Brian Boru, Irelands most famous High King. Cherish a magical evening relaxing is this historical castle. Today we will head for The Majestic Cliffs of Moher travelling through the lunar landscape of The Burren. Step out to the edge of the world with awe-inspiring views from The Cliffs of Moher. Spend time here to relax, walk or enjoy the self-guided exhibition at The Visitors Centre. The village of Doolin is the perfect choice for a fine Irish lunch followed by a scenic drive around the magnificent coastal route of Black Head where you will also get the chance to get up close to the "Baby Cliffs"
Next is a tour of Galway city, Ireland's cultural capital where traditional pubs, live Irish folk music, stone-clad cafes, boutiques and art galleries line the winding lanes of the Latin Quarter, which retains portions of the medieval city walls. Enjoy breathtaking coastal scenery, lakes, mountains and bogs as we traverse our way through the majestic Connemara. 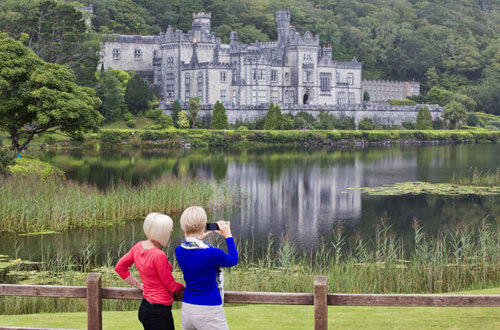 Our first stop will take us back in time with a visit to Kylemore Abbey and Walled Victorian Gardens. Built in the late 1800s by Mitchell Henry MP, inspired by his love for his wife Margaret, and his hopes for his beloved Ireland. It became home to a community of Benedictine Nuns in 1920 and has been renowned as a place of spirituality and education. Complete your day with a visit to the 6th century monastery of Clonmacnoise. Founded in 548 by St. Ciaran. The settlement soon became a major centre of religion, learning, trade, craftsmanship and politics. Sit back and relax while we transfer you to your last stop, your hotel or airport with a suitcase full of memories.